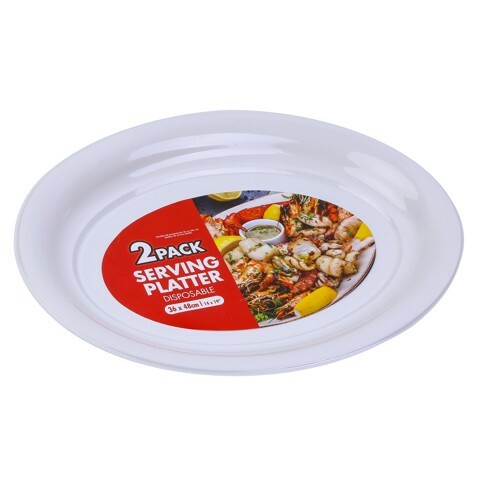 Party Platter Oval Wht 2Pk. 48.5 x 36 x 4cm. White. PS. 195g Packaging: OPP Bag with Colour Insert.